EXPERIENCE THE TASTE OF EFESTĒ. HAND CRAFTED WINES, MINIMALIST TECHNIQUES, NATIVELY FERMENTED. Every month, we select a Wine of the Month to share with our guests. 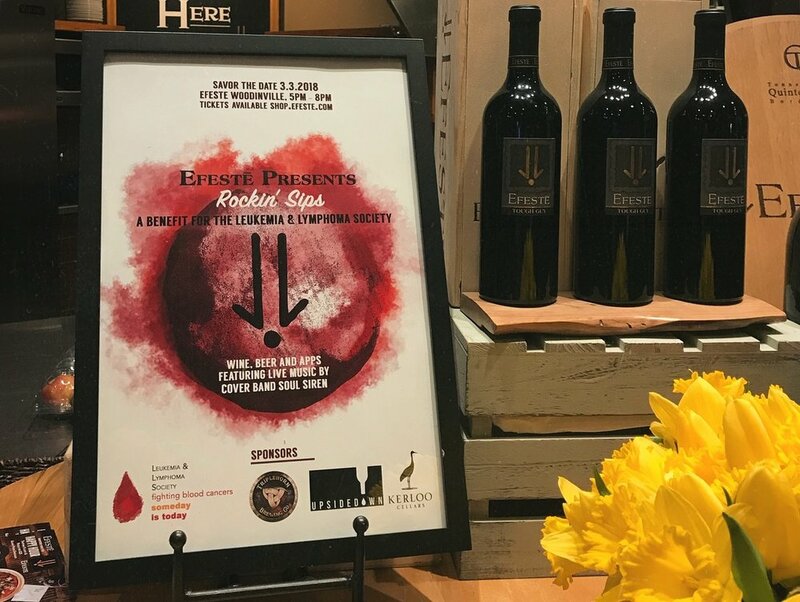 In 2006, winery owners Kevin and Angela Taylor learned that their young son Joe, grandson to ‘Big Papa’ Daniel Ferrelli and Helen Ferrelli, was diagnosed with A.L.L. Leukemia. He was 5 at the time. The winery, licensed in 2005, was also in its infancy. Already a “Tough Guy” Joe’s strength of spirit and personality allowed him to endure the exhaustive treatments while maintaining a brush off attitude, continually empowering those around him with his insistence, “Come on! I’m fine! Let’s go!” We are so proud of Joe for his courage, toughness, and inspiring attitude.